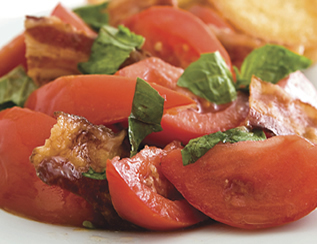 In a large glass bowl, toss together tomatoes, basil and garlic. Pour vinegar and olive oil over and season with salt and pepper. Cover with plastic wrap and allow to marinate at room temperature for 4-6 hours. 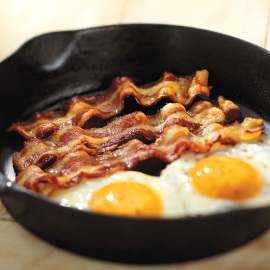 Toss in the crisp bacon just before serving. Serving suggestion: serve with a wonderful crisp and crusty bread. Pour any leftover over your pasta for dinner.